Ten Rotarians from across Lethbridge will be performing amateur stand-up comedy - sure to make you laugh. Hosted by local Rotarian and stand-up comic, John Pogorzelski. The event will also have a live and silent auction. he premier watering hole in downtown Lethbridge since it’s opening in 2000. The welcoming atmosphere, cozy furnishings and friendly staff have made Average Joe’s a favorite stop for one and all. Every day you see working professionals, sports nuts, students and “average joes ” unwinding together at the end of the day. 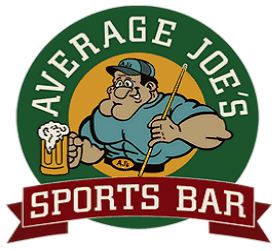 If your aim is “the game”, Average Joe’s is the place to be. All major sporting events are in view with 2 -14 foot giant screens and 28 televisions in total conveniently placed throughout. Try your luck with your own skill, on the pool tables, shuffleboard, Nascar Racing, foosball, air hockey, or bubble hockey games. Favorite video games include Golden Tee Live, Buck Hunter, and Buzz Time Trivia. Special events are always happening at Average Joe’s. Monday Night Football and UFC Pay Per View are regular happenings. Weekends come to life with live entertainment, with in house DJ’s or live music featuring classic rock or country bands. Beer is Big at Average Joe’s, with 11 kegs on tap and 40 choices in the cooler, and of course our bartenders will serve you up your favorite cocktail. When the appetite is wetted, the Average Joe’s kitchen will fill you with your favorite pub food. Features are our famous home made burgers, specialty pizzas, the steak sandwich and over 30 choices of chicken wings. Average Joes’s takes pride in being a big part of the Lethbridge community by sponsoring numerous youth and amateur sporting teams. Our combination of warm atmosphere, super staff, love for the game, and great food and drink resulted in Average Joe’s being voted the best Sports Bar in Canada by Rogers Sportsnet poll in 2006. 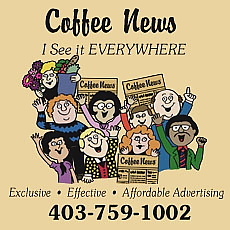 What are you waiting for, come join the crowd in downtown Lethbridge at Average Joe’s Sports Bar, 420, 6th Street South. Every week-end, the folks at Average Joe’s “ open up the back room”, Joe’s Garage, and “What Happens In The Garage Stays In The Garage”. The garage has already become a Lethbridge Friday/Saturday hotspot. Music is the focus in Joe’s Garage, ranging from Rock, Classic Rock to All Things Country. Come on in, listen to the great sound or tear it up on the dance floor to the music of a DJ or one of the many live acts that take to the stage. Acts like, Streetheart, Nazareth, Julian Austen, J D Bixby, The Irish Decendants and Doug and the Slugs have rocked the garage. All of the fun, the food and the beverages that Average Joe’s is famous for, are also available in the garage. As well, the garage can be booked for private functions for groups ranging from 80 to 140 people. Come and experience the unique and intimate atmosphere of Joe’s Garage and remember “What Happens In The Garage Stays In The Garage”.